In October, the YMCA of Delaware hosted its 30th Annual Black Achievers Dinner and Awards Gala at the Chase Center on the Riverfront. A college readiness and career awareness program, Black Achievers encourages young people to develop and pursue educational and career goals with the assistance and guidance of mentors from diverse career fields. Prior to the dinner, Keynote Speaker Yvonne Harvey Williams made an appearance at the Walnut Street YMCA and delivered an inspirational speech to local Wilmington children and teenagers who attend the Y for after school programming. For over 20 years, Yvonne has used her life experiences of overcoming tremendous adversity to encourage individuals to always be and do their best. She’s the author of 5 books, the CEO and Founder of Speak2Inspire LLC and i-inspire clothing and product line, and she launched the “i-inspire…stop bullying” campaign to help end bullying in various age groups. Over 200 individuals attended this year’s festive event that began with a show stopping performance from the Walnut Street Drumline and Step Team. 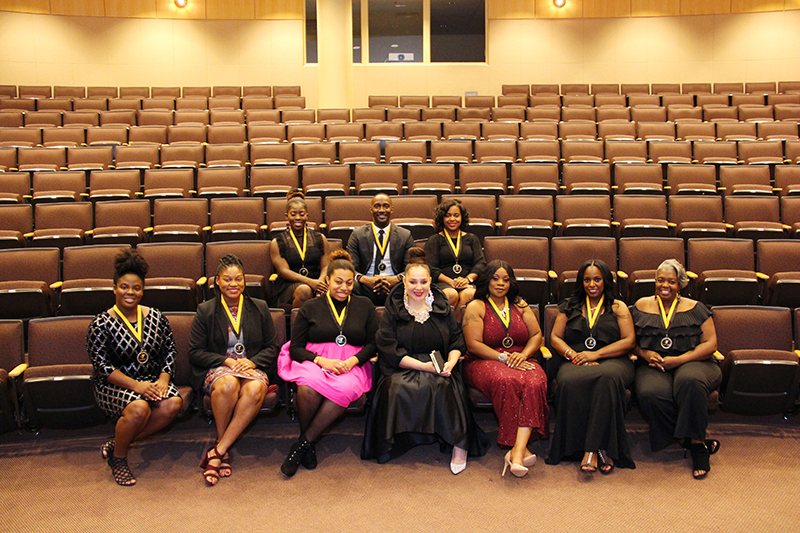 The gala honored and inducted six outgoing Achievers for the year 2018, and recognized 12 incoming Achievers who will serve as mentors for 2019. Additionally, former Black Achievers Director, Claire Carey, received a special recognition. The Black Achievers Program is generously supported by the following companies, as well as private donors invested in the future of our young people. Keynote Speaker, Yvonne Harvey Williams (middle) and the 2018 Achievers.